The RootsTech 2019 planning team has been busy…really busy. Each year, changes are made to address concerns and make the following year’s conference better. 2019 is no exception. In fact, we are going to see several big changes in 2019. [To read the official statement, click here.] Here’s a little of what you can expect. Oh boy! Registration, or check-in, can mean long lines and long waits. This was something attendees really disliked. To fix this problem, the check-in location for RootsTech 2019 will be moved from the South Foyer to Hall 4. Tyler Stahle, a RootsTech 2019 planning team member, says, “This area will offer a much larger space, allowing RootsTech staff to check in more people more efficiently than ever before.” This new check-in area will be equipped with double the check-in stations and double the man power to staff it. In the past, RootsTech has offered a ‘Getting Started Pass’ or a ‘RootsTech Pass’. Though the ‘Getting Started Pass’ was considerably cheaper, many who purchased it did not realize their class options would be significantly limited. ‘Getting Started Pass’ holders could only go to certain limited class sessions. To avoid this confusion, RootsTech has eliminated the ‘Getting Started Pass’ altogether. RootsTech 2019 will offer a full RootsTech pass with access to more than 300 sessions across the four-day conference, or a one-day RootsTech pass with access to the sessions taught that day only. I think I can hear shouts of jubilation over this change! It was a good idea in theory. 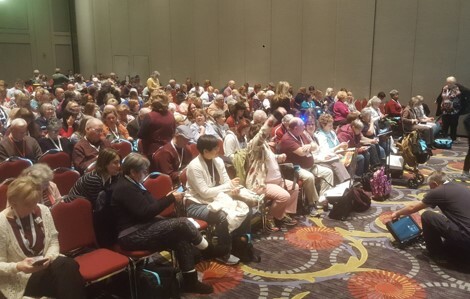 By scanning the badges of attendees while they came in a room for a session, RootsTech could collect data about who and how many people were attending any given session. However, this caused a bottleneck affect and ended up created long lines and difficultly getting into desired class sessions. RootsTech 2019 will NOT include badge scanning for 2019. 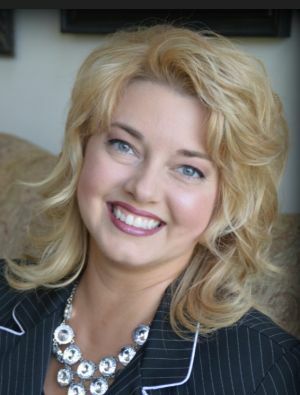 Stahle says, ” You will be free to attend whichever sessions interest you most.” They will also be making logistical changes to the conference which include increasing the sizes of various classrooms and offering more popular sessions and speakers multiple times throughout the conference. General sessions for RootsTech 2019 will begin at 11 AM instead of 8:30 AM, but that doesn’t mean you will be sleeping in! 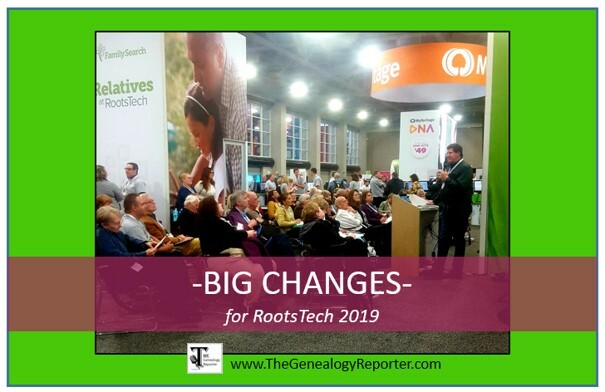 RootsTech 2019 will have their general sessions on Thursday, Friday, and Saturday and they will begin on the main stage at 11 a.m. MST. This change is intended to give attendees more time to attend breakout sessions and have more hands–on learning experiences in the morning hours. Speaking of “more hands-on learning experiences in the morning hours,” RootsTech 2019 will be initiating Power Hour from 8 AM to 9 AM on Thursday, Friday, and Saturday. Power Hour will feature three different presenters in each room who will teach about similar topics for 20 minutes each. Power Hour was designed to help attendees learn a new skill, method, or application in a quick and easy way. All other class sessions will be the traditional 60 minutes. This was just a preview of the new things coming for RootsTech 2019. Learn more about the theme, Expo Hall Preview Night, and more by visiting the RootsTech blog, here. Are you an Instagram user? 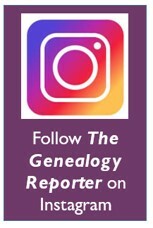 Follow The Genealogy Reporter on Instagram, here! I need to cancel my registration but keep getting error messages when trying to do so. I need a GOOD phone number oe email to contact a living person before I loose money playing their “error message” games. My mailing address is 4597 S Cattail Way, Washington, UT. Connie, I am going to send you a private message via email.